Staff at The Sixth Form College, Solihull have come together to help those in need by donating to a local food bank. Back in September, staff came together to donate 93kg of food to the Cotteridge food bank, where Sport and Health teacher Charlotte Simmonds volunteered for 6 hours a week all through the summer holidays. This time, staff have been donating sanitary items and money to help women who cannot afford to buy these essential items. 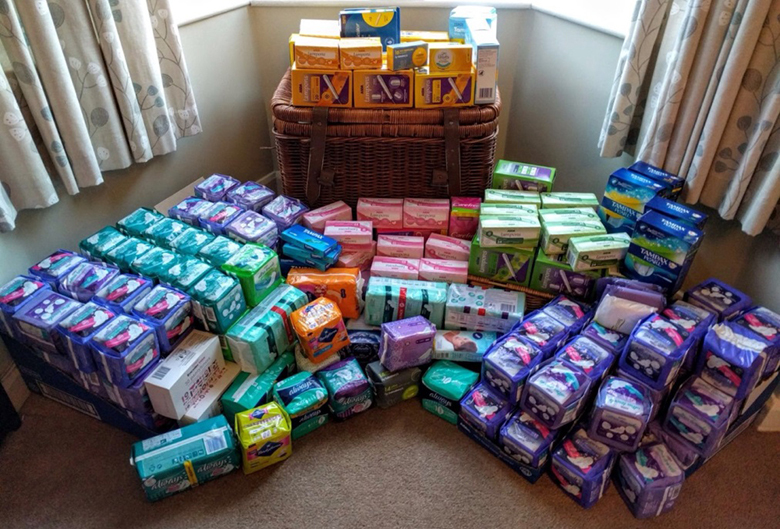 In total £143 worth of sanitary products were purchased to donate. As well as sanitary items, Cotteridge Food Bank exchange vouchers for three days-worth of food to those in need. The products they are particularly looking for people to donate include baked beans, tinned spaghetti, tinned fish, tinned meat, UHT milk, pasta sauces, cooking rice, jam, custard and fruit juice.